Do you like pomegranates? They are so delicious, and they’re good for you too. They are definitely something you want to include in your family’s diet. 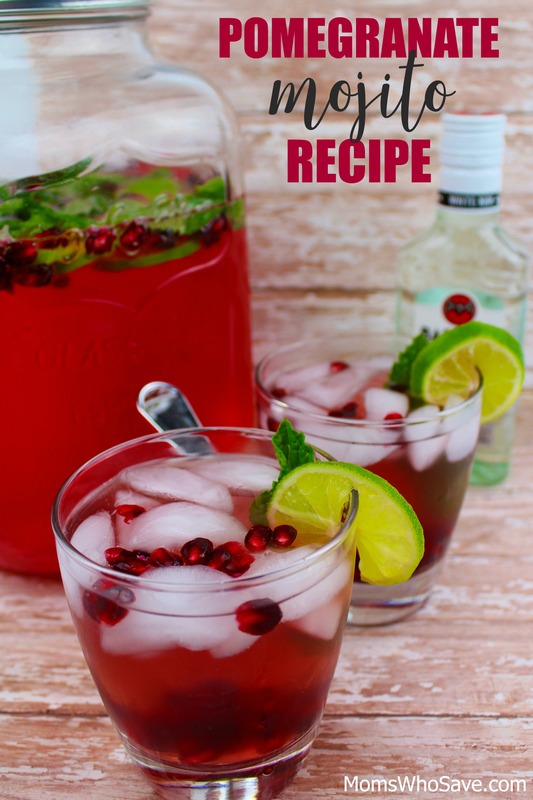 Besides enjoying pomegranates plain, adults will want to try this delicious cocktail. 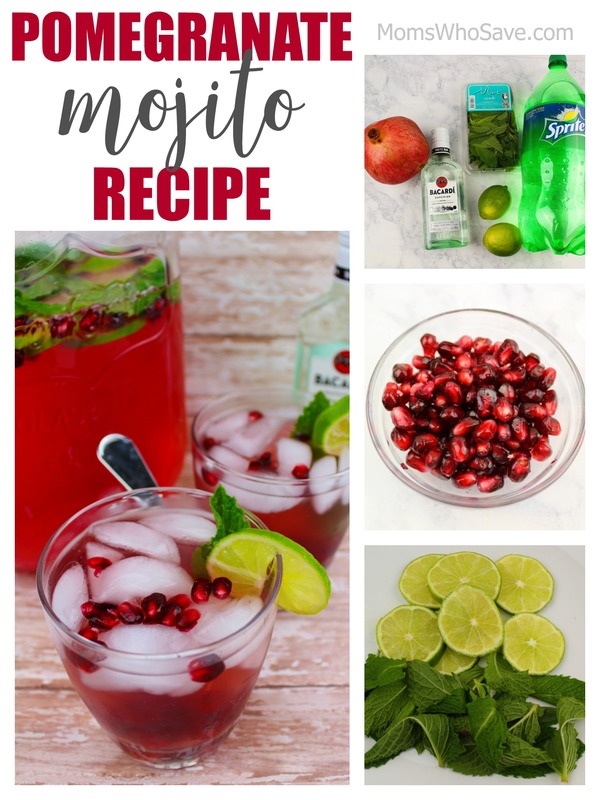 It’s got the ideal combination of sweet and tart, and with the gorgeous colors, I think pomegranate mojitos are especially fun to serve at Christmas time or for Valentine’s Day. Hint: Try making these with our fresh mint ice cubes. They’ll not only taste great, but they’ll look so pretty! 1. Wash pomegranate. Remove fruit. **It can be tricky if you’ve never done it before. 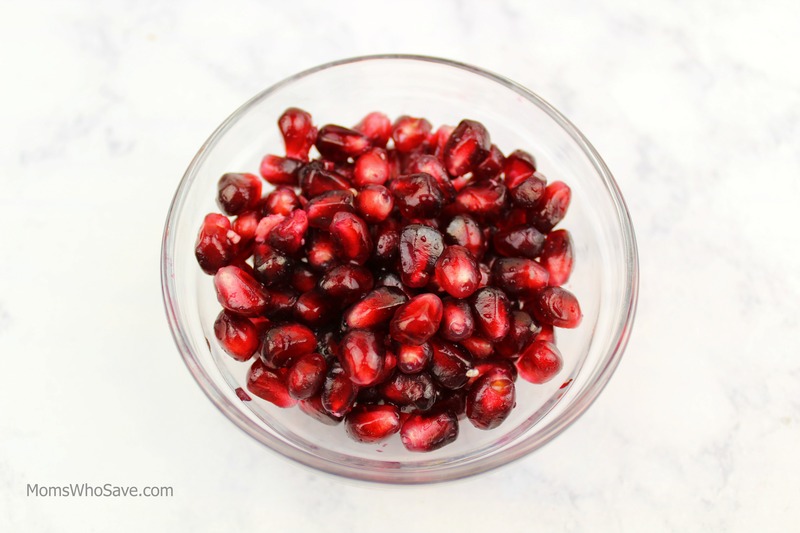 Here are a few ways to remove pomegranate fruit. 2. Cut limes into thick slices. 3. Pour six cups Sprite and one cup of white rum into a pitcher. 4. Split the pomegranate fruit in half. Squeeze the juice from half the fruit into the pitcher. 5. 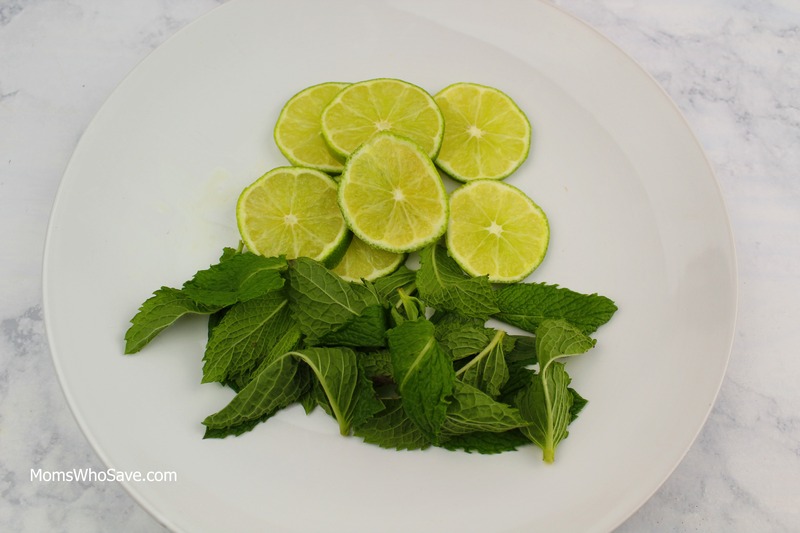 Add the rest of the pomegranate fruit, lime slices, and the mint leaves, and allow the fruit to soak for one hour. 6. Add four cups of ice, and enjoy. 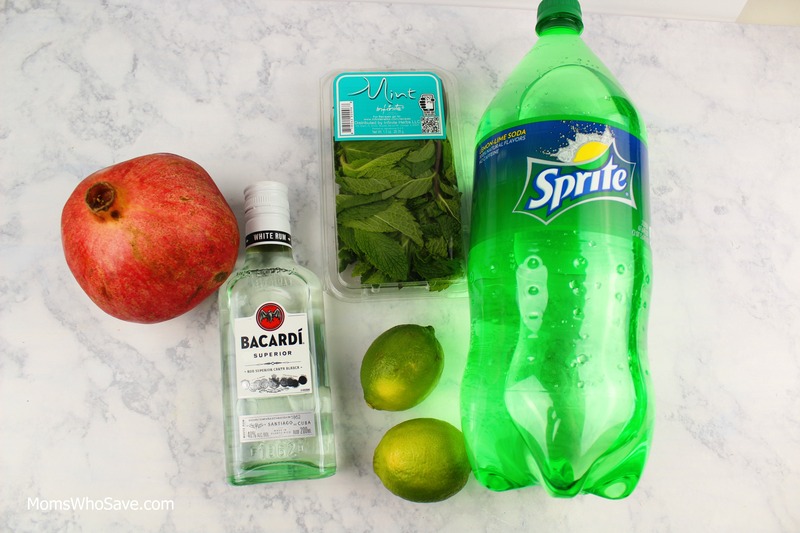 Tip: Try freezing some of the fruit to keep the drink cold even longer! Click for a printable recipe. You can also find MomsWhoSave on Facebook, Instagram, and Twitter. Join us for updates.